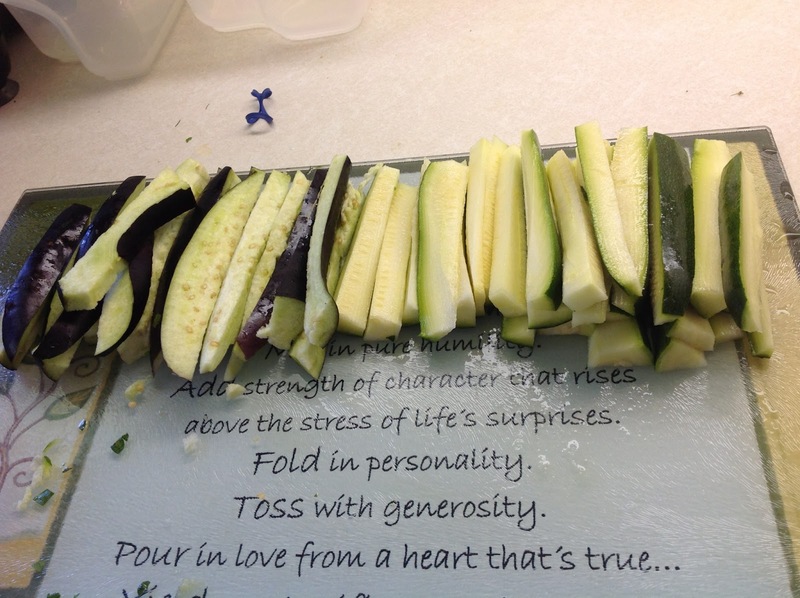 It's zucchini time! 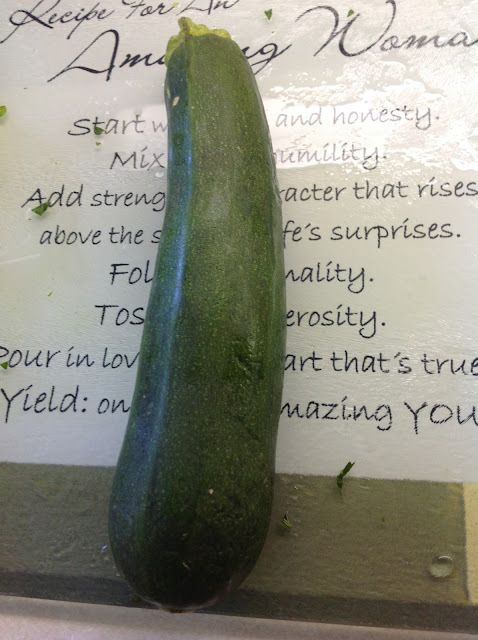 I've gotten quite a few zucchini my weekly CSA boxes lately. 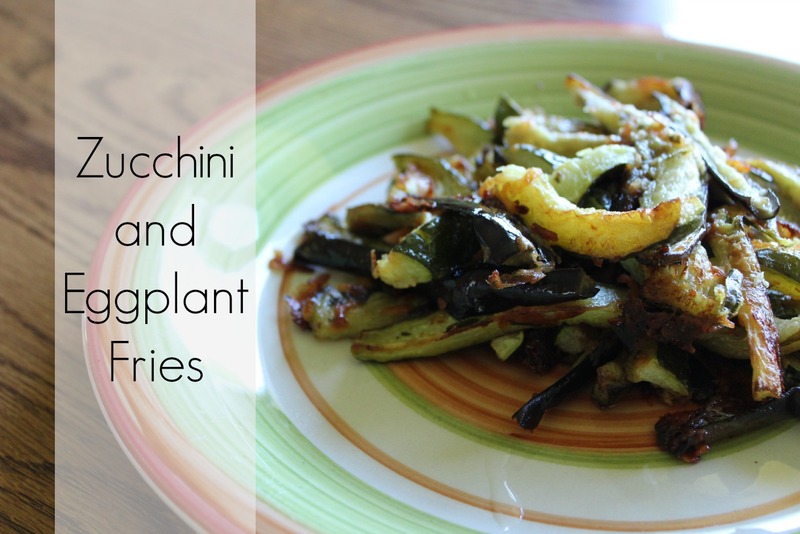 In an attempt to find a new, delicious way to eat my zucchini and Asian eggplant, I did some kitchen experimentation. 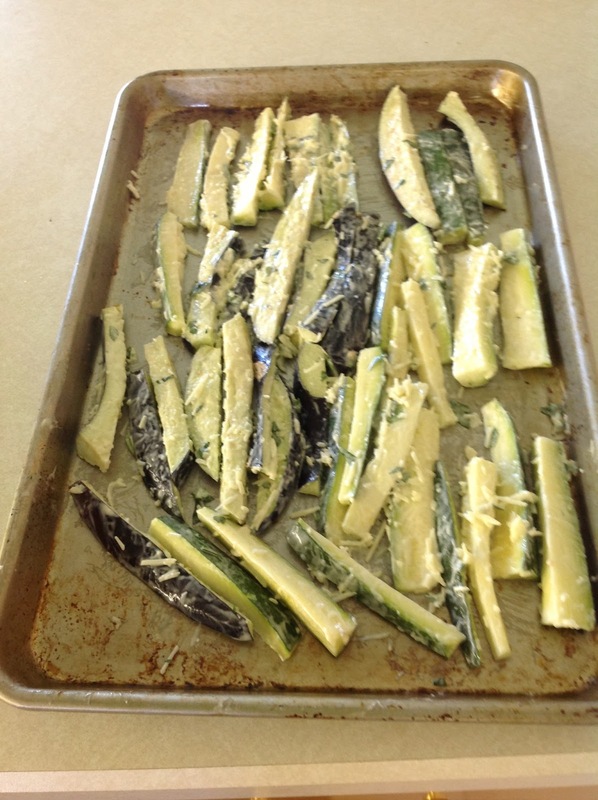 There are just a few ingredients in these zucchini and eggplant "fries." Here are a few simple instructions. #1: Mix up these 3 ingredients in a bowl. #2: Cut up the zucchini and eggplant into fry-size pieces. When I make this again, I'll cut mine into thinner strips so they cook faster. Take a moment to press out any excess water from your veggies. This will help them cook faster as well. 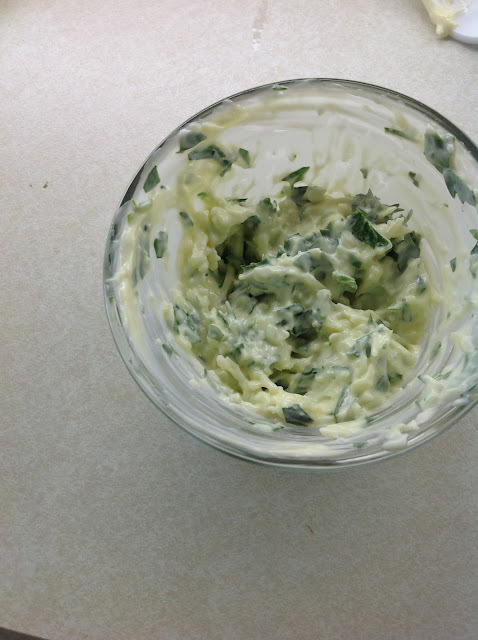 #3: Coat each piece with a thin layer of the mayo mixture. #4: Bake at 400 degrees for about 30 minutes (flip them half-way through the cooking time). Bake until they reach your desired crispiness and then let them cool for a few minutes. These look delicious. can't wait to try this...and surprise my 14 year olds! :) I hope they turn out well, Carol!! !